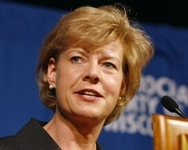 MADISON – This past week, Politifact Wisconsin wrongly gave Senator Tammy Baldwin a "false" rating on statements she made pertaining to closing the carried interest tax loophole." Instead of looking at the big picture, Politifact Wisconsin chose only to see the numbers they wanted. Fortunately, the group Patriotic Millionaires, a group of millionaires who want reform the tax code so the rich pay their fair share of taxes, did their own analysis and found that Senator Baldwin's statements were correct. Read Excerpts from the piece below. 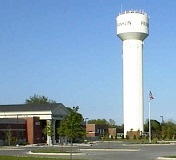 http://newiprogressive.com/images/stories/S5/clean-drinking-water-s5.jpg States and Provinces Commit to Reconvene in May to thoroughly review Waukesha’s precedent setting diversion request. EAU CLAIRE, WI - Representative Dana Wachs (D-Eau Claire) feels that the April 5th election proved why the Legislature needs to fund a public education campaign on Wisconsin’s Voter ID law. At least that's why he called on Legislative Republicans Thursday from this northwest Wisconsin town to fulfill their obligation through the Voter ID law to fund a public education campaign. “There are many stories of people who had trouble voting or were turned away at the polls simply because they weren’t aware of the changes that were made," said Wachs. "At a time when we should be encouraging more voter participation, Legislative Republicans are making it significantly more difficult for people to exercise their right to vote." Under 2011 Wisconsin Act 23, the Voter ID law, the state was supposed to fund a public information campaign which has still not yet occurred. 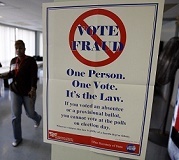 Rep. Wachs is a co-sponsor of Assembly Bill 987, a proposal that would have provided $500,000 to the Government Accountability Board and the Elections Commission, one of its successor organizations, to conduct a public informational campaign related to the Voter ID requirements. This bill was not given a public hearing in the Assembly Committee on Campaigns and Elections and was not brought forward for a vote.